January 2019 – 1J find out about the world and the differences between Cookridge and Kansas. November 2018 – 4H Globe Games. 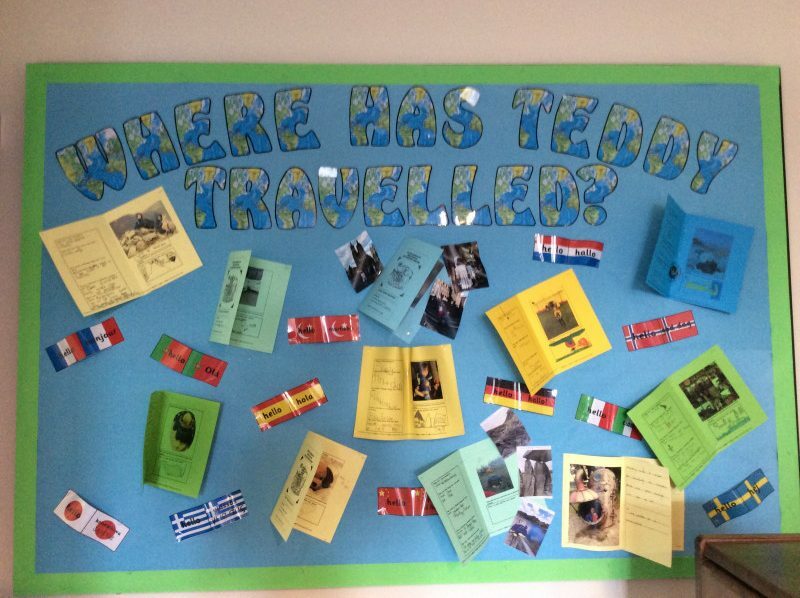 Well done to all children at Cookridge Holy Trinity who have documented their teddy’s travels during the summer holidays! 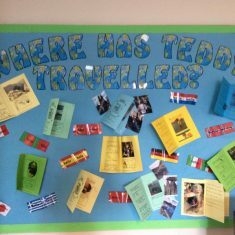 Children from all year groups across the school completed passports and took photographs of their travelling teddy bears, along with information about the activities they took part in, food and drink they have tried and new languages they have spoken. Here are a few mounted on display.